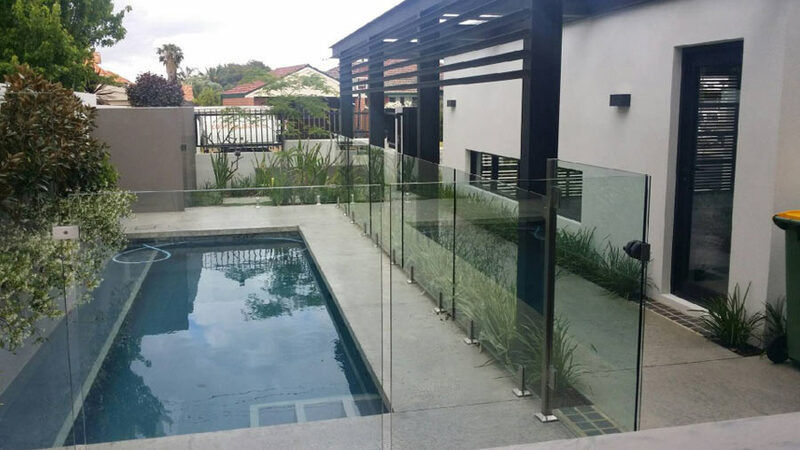 Providing all your manufacturing requirements of Glass, Stainless Steel, Steel, Aluminium, Laser Cutting and Wrought Iron with Innovative Designs. 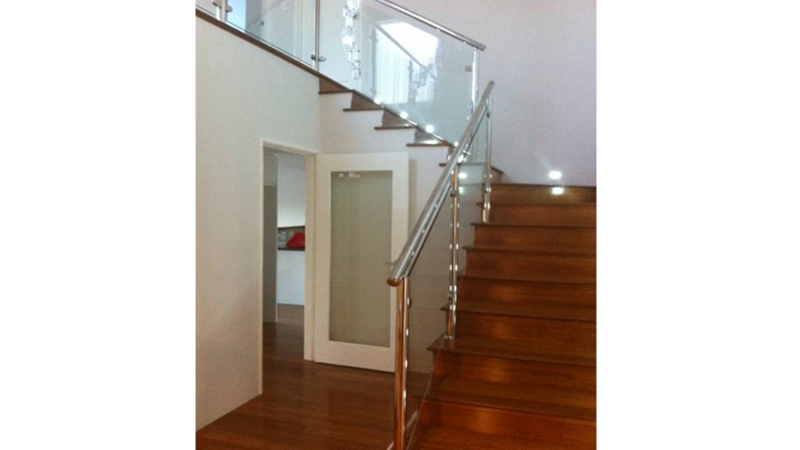 We Add Value to your home with Exceptional Quality in the Finish of your Project. 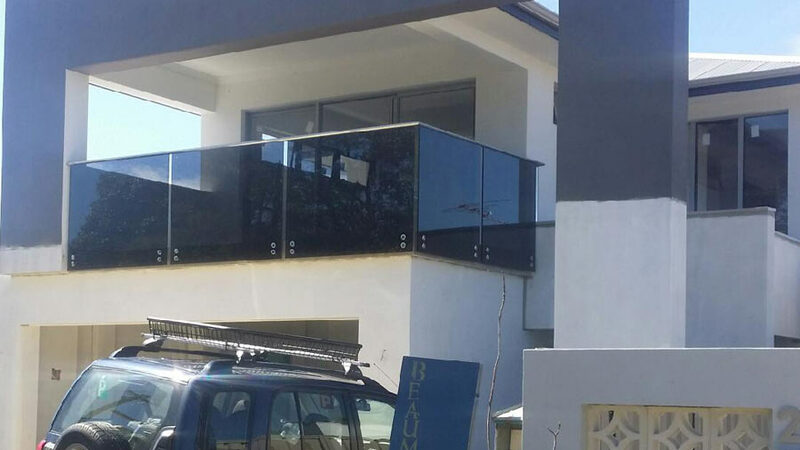 We have grown to be The Go To Company for Builders, Home Owners, Commercial Constructions, Developers and Owner Builders as we are leading in the Innovation of New Designs and Materials. 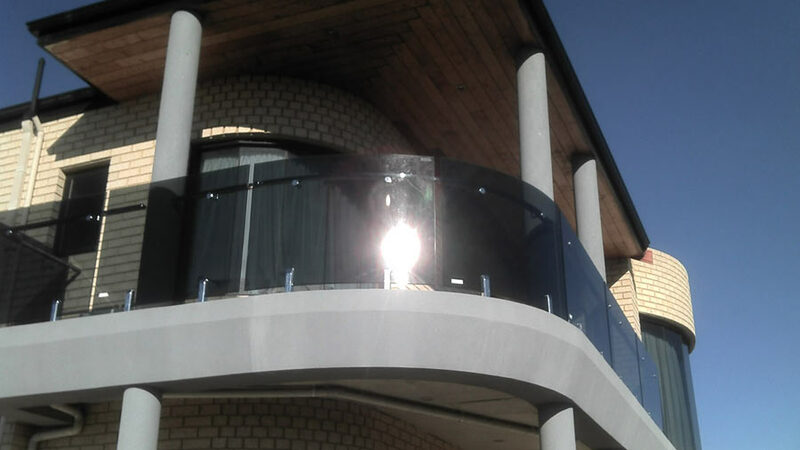 Enjoy browsing our site the photos are only a small amount of the successful Projects completed. 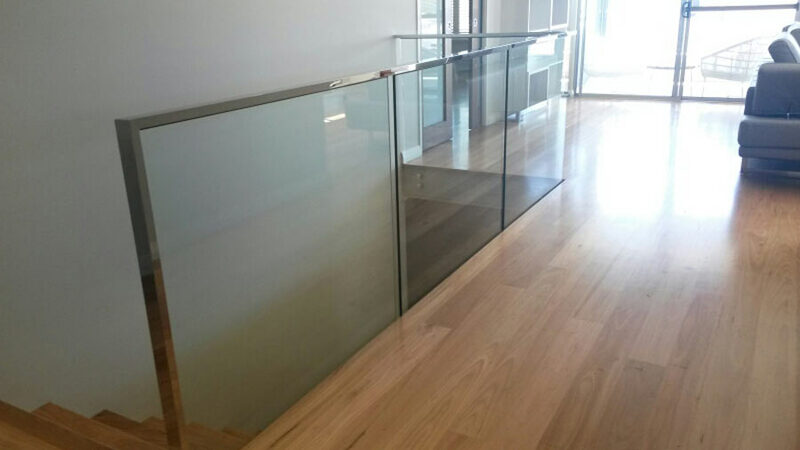 This is Toughened 12mm Glass to AS/NZS 2208 it is installed by a Spigot Fix or a Stand Off (Button Fix) or a Channel. Spigots come in Round and Square. 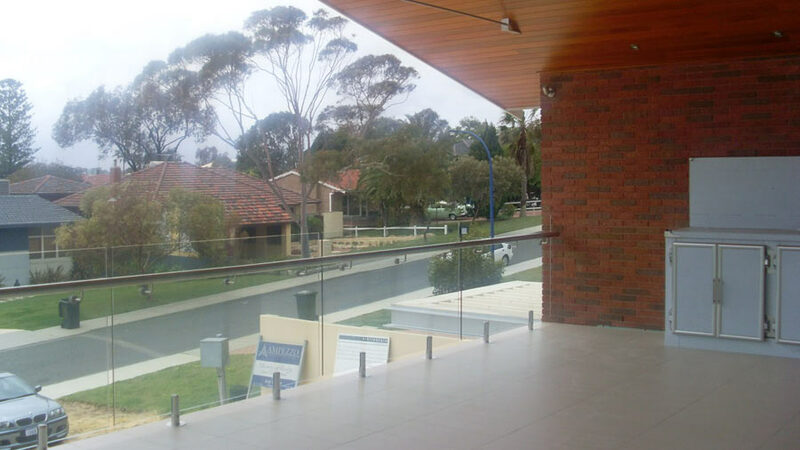 It has a Handrail either attached through the Glass or on Top of the glass to comply to Australian Standard. 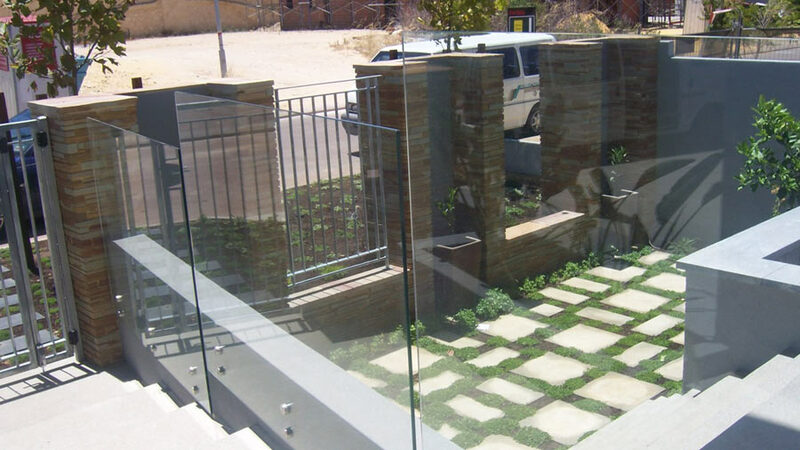 This Glass is Polished on all Edges with Radiuses Corners (No Sharp corners). 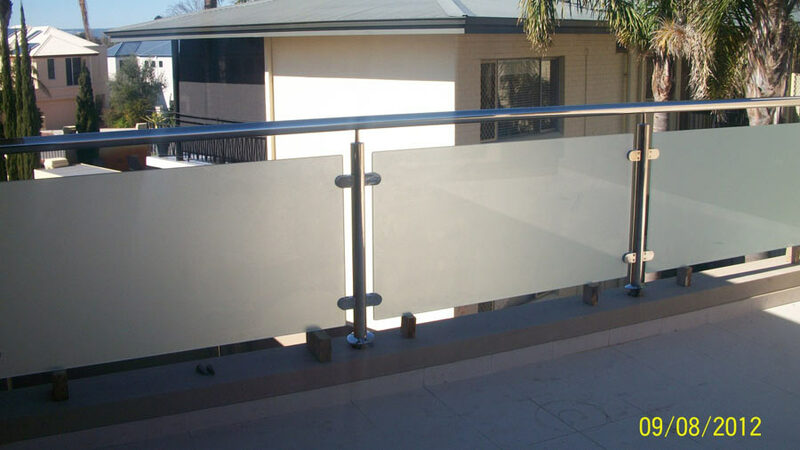 All the Fittings are 316 High Polish Stainless Steel or Satin. 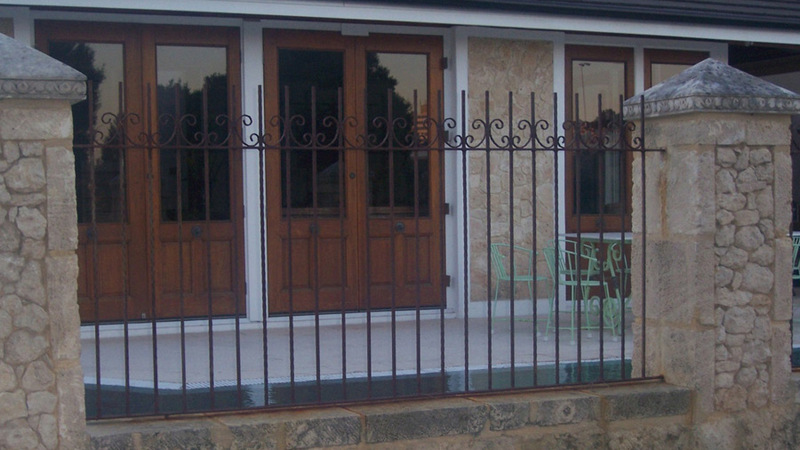 Our Qualified Tig Welders do an excellent job of Fabrication and Polish. 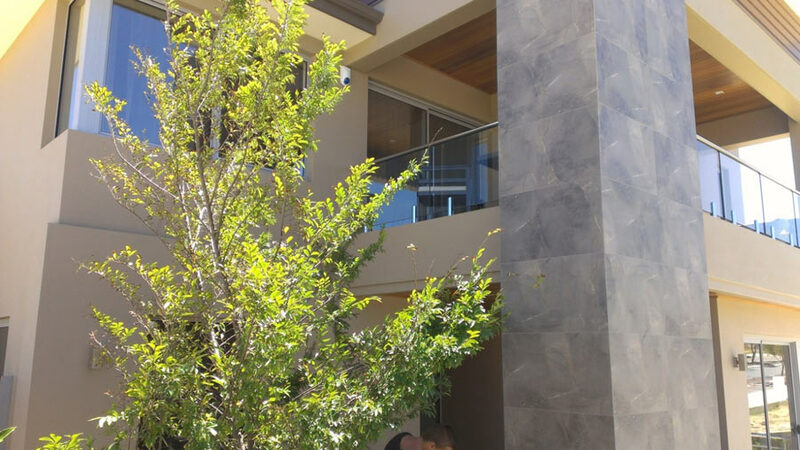 Installation is Core Drilled with a Grade "A" Structural Grout. 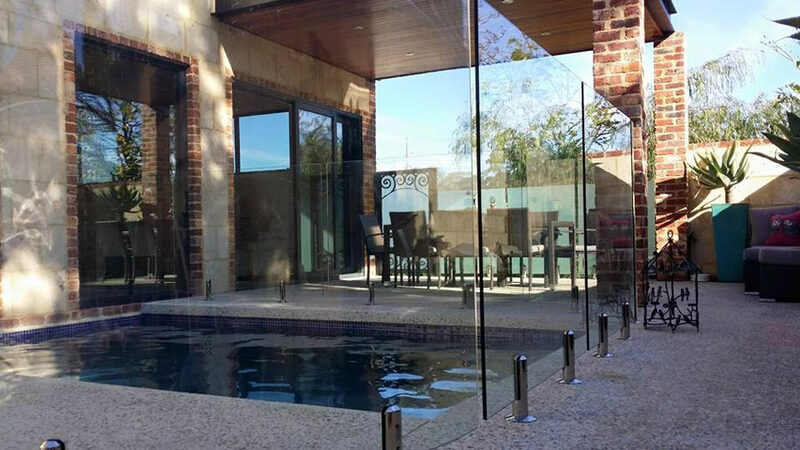 Frameless Glass gives a very open plan Living and looks very Modern. 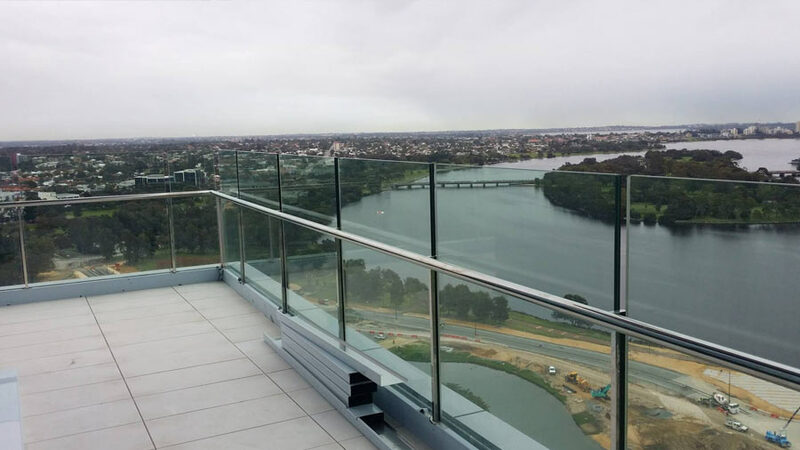 New to Frameless is our Black Glass This looks very modern and gives you more privacy on a balcony. 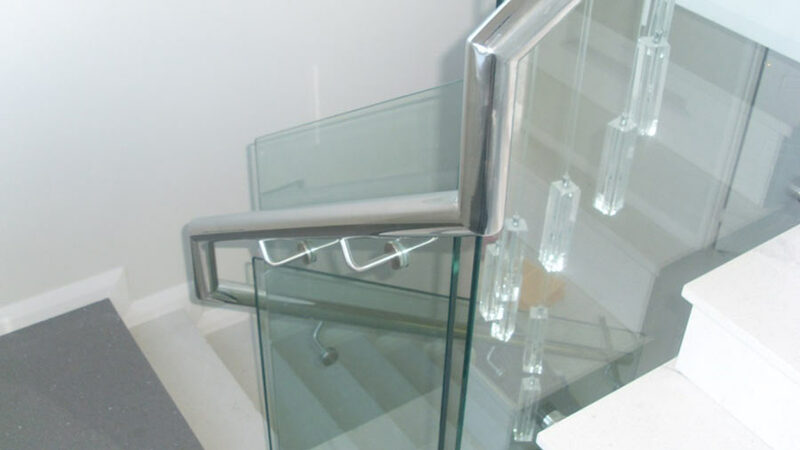 Handrails come in Round, Square, and Rectangle. 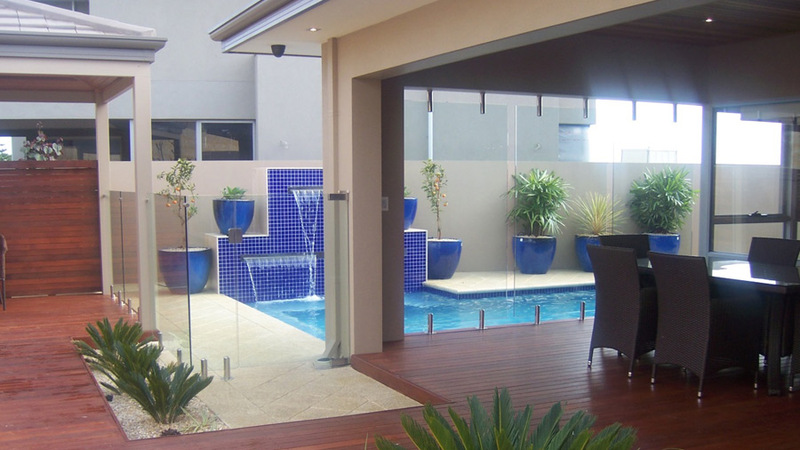 Be inspired with a design for yourself from pictures taken of our projects. 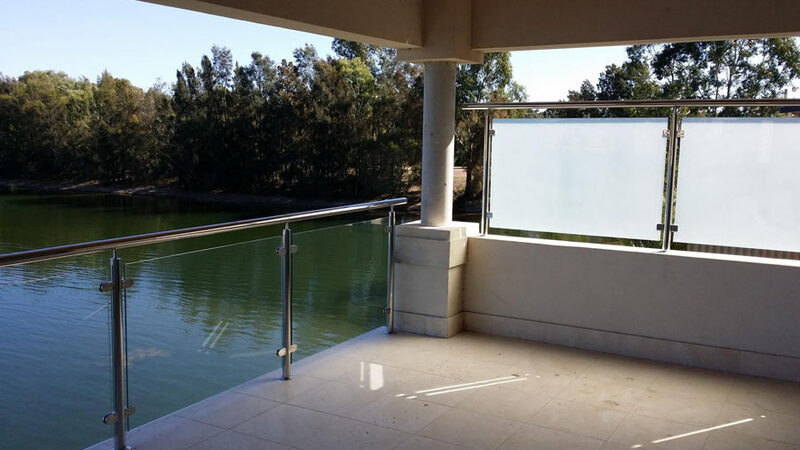 This is Laminated to 14.28 and doesn't require a hand rail it can be install by a Spigot or by a Glazing Channel or Standoffs. 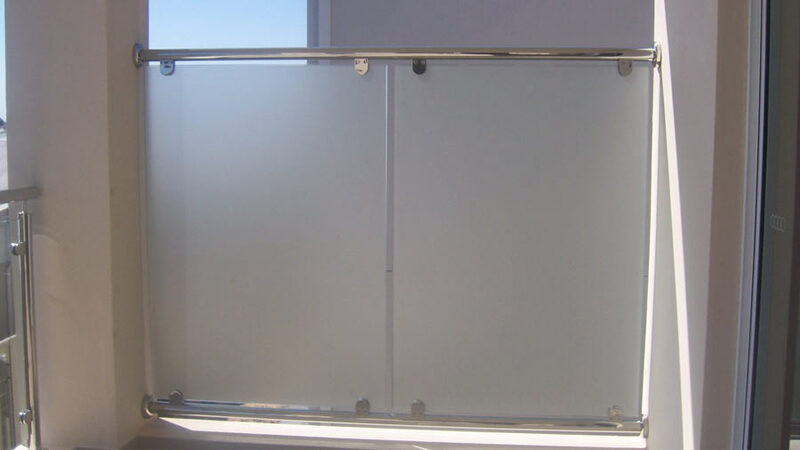 It comes in Clear or Ultra Clear. 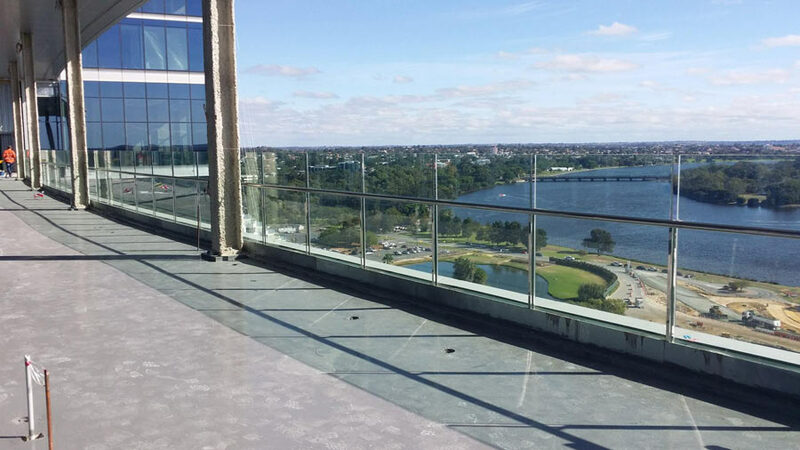 It is ideal for Balconies with a View as no Handrail is required. 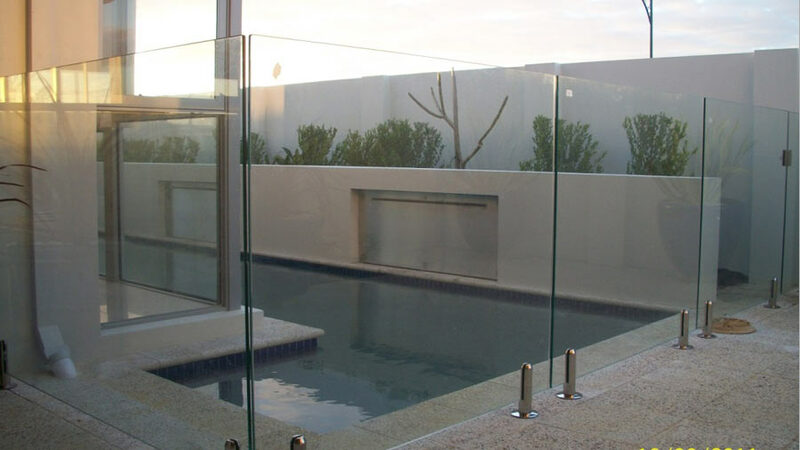 SPG glass comes with a Engineered Certification. 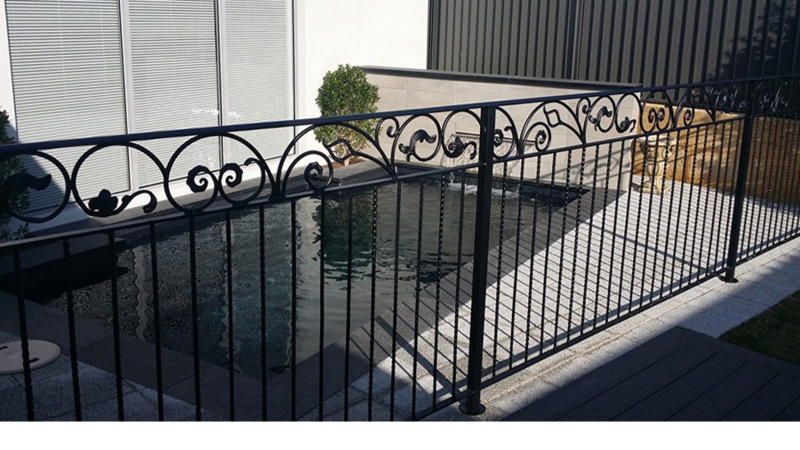 Comes with a 316 Grade Stainless Steel Handrail and Balusters. 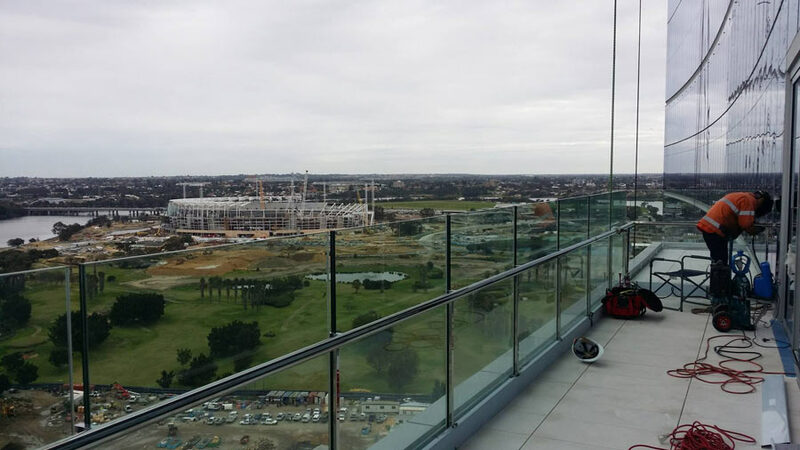 This glass is to code AS/NZ 2208 and is Toughened, it is 10mm Thick, Polished Edges All Round, and Radiuses Corners you can see a 3mm Radiuses corner on all. 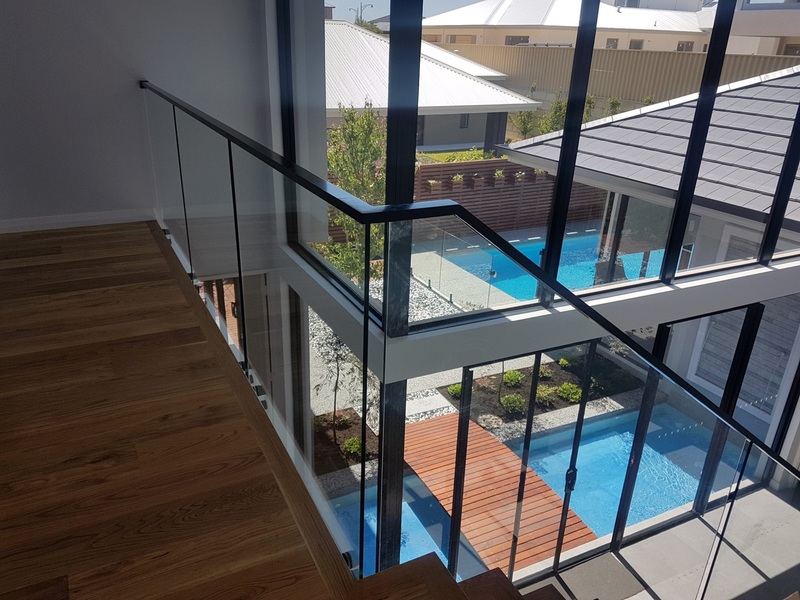 (No Sharp Corners) The 316 Grade Stainless Steel Handrail and Balusters are diameter of 50.8m and are High Polish or Brushed these are Core Drilled into the slab with a Grade A Structural Grout. 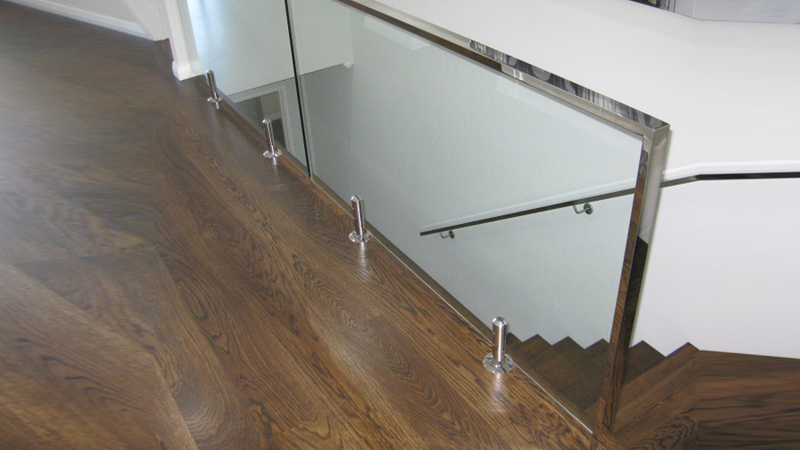 Base plates are used with wood or tile application on the floor. 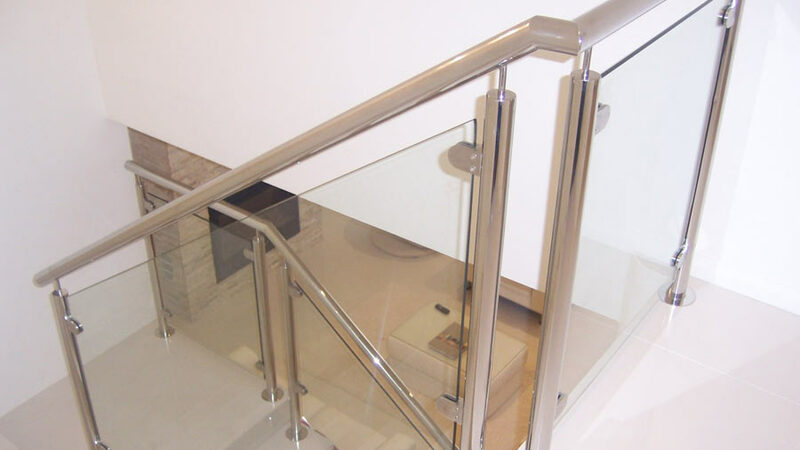 Stainless comes in Round, Square or Rectangle. 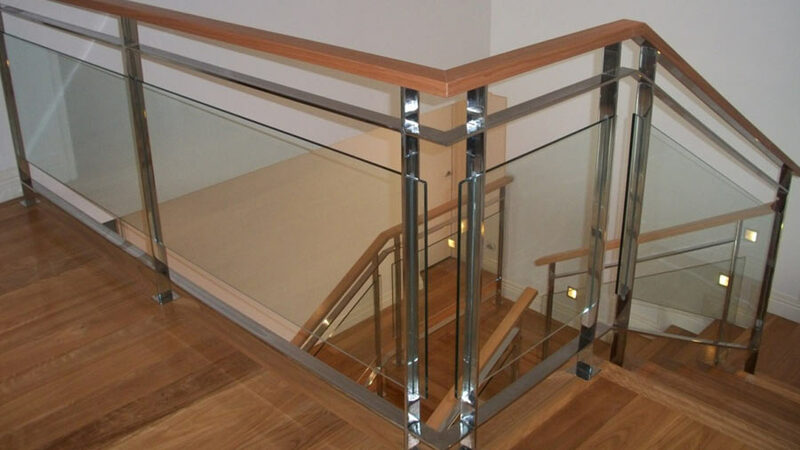 At Marchants we focus on Quality. And design to your needs. 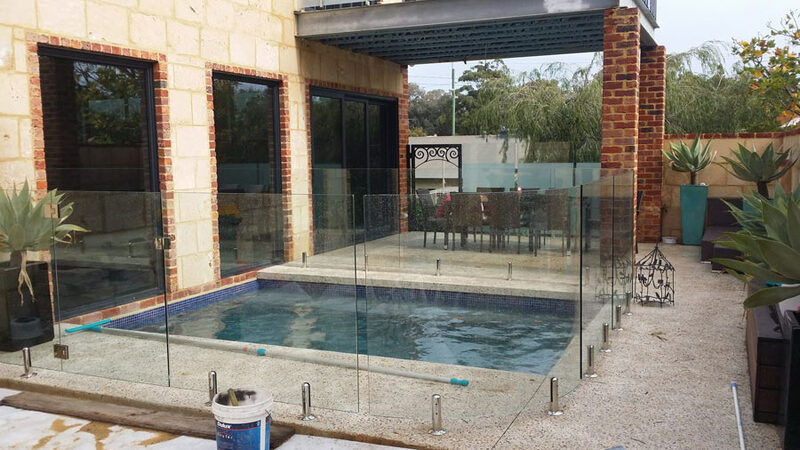 All Pools need to be approved by Council and comply to the Standard Code for Pools they can be in Steel, Aluminium or Glass or even core ten laser cut steel for privacy. 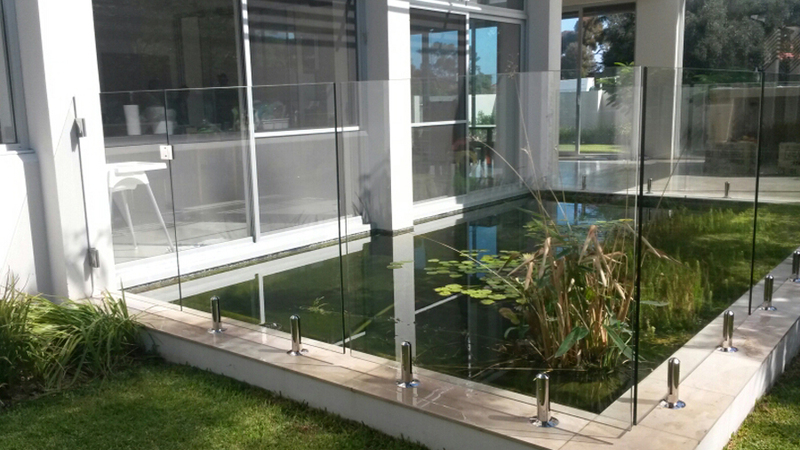 The Glass can be in 10m with Stainless Steel posts or can be in 12m Glass with a spigot fix or Channel. 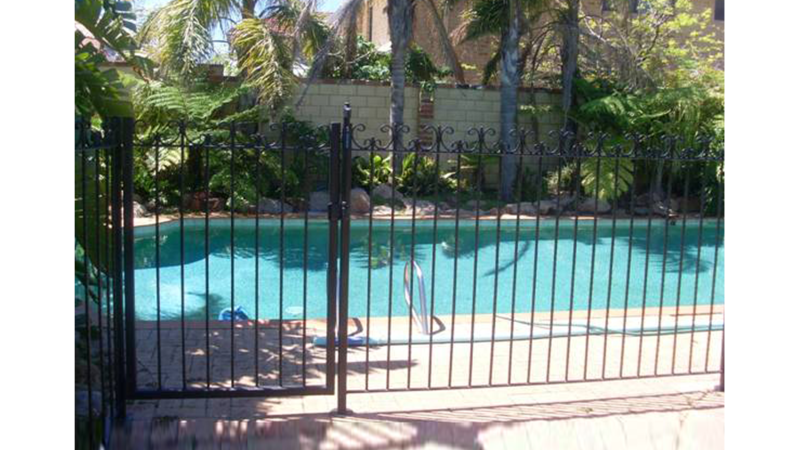 The gates need Special Hinges and Locks. 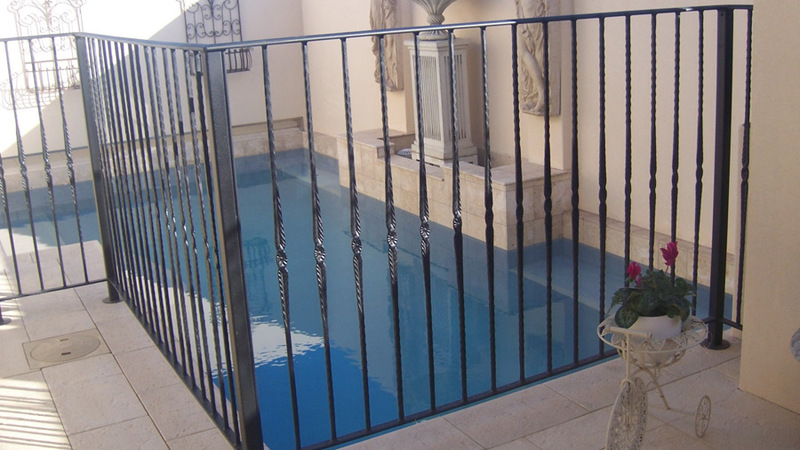 Marchants can help you make your Pool Secure and meet all the standards required. 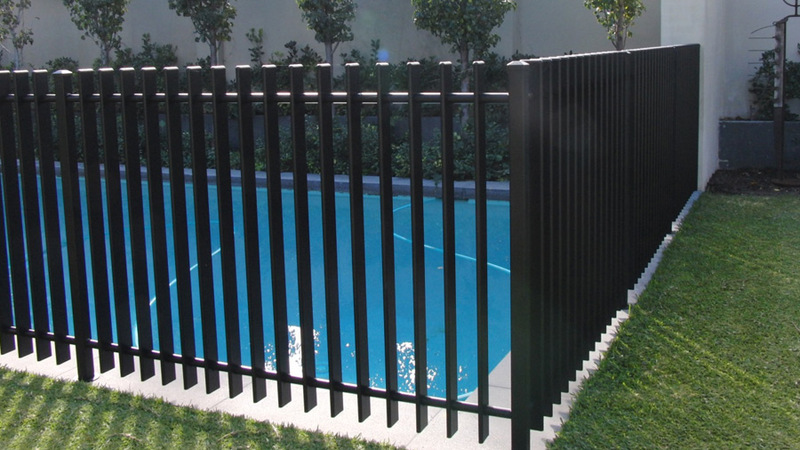 Its very important to be aware of any changes in the height of your pool area and To make sure your fence in the higher area is also made higher so children don't climb on a wall to gain access to the pool. 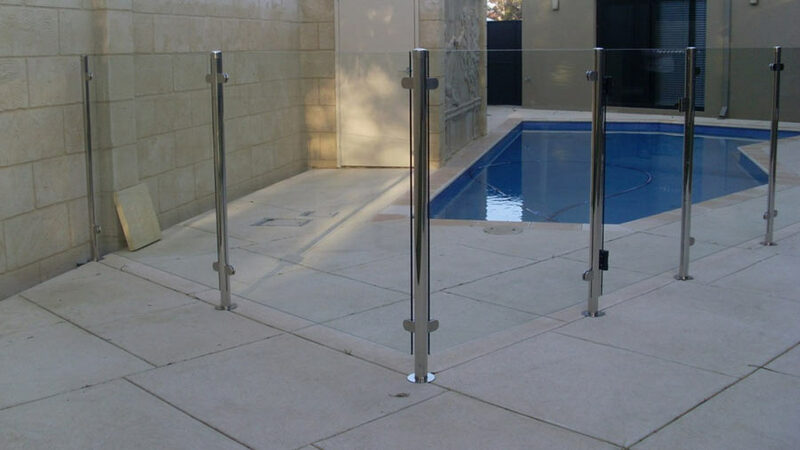 The first picture shows three different heights needed to make this pool compliant.